Here are two new pictures of ‘The Elephant Whisperer Vidyut’ with his Tusker friend Jai and the female elephant Oon from Junglee. 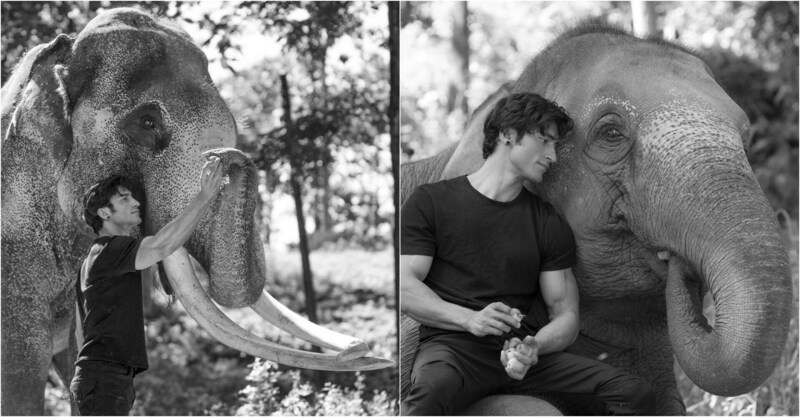 While shooting for Junglee, Vidyut Jammwal spent most of his time forging a deep bond of trust with the elephants. When he learnt from the mahouts that elephants responded to humans emotionally and were very sensitive to their energies, he trained with the elephant whisperer and the mahout to communicate and interact with elephants and as a result he spent all his free time with the Tusker- Jai and the female elephant Oon to understand their personalities better.